It seems that the Pineapple is a major celebrity at the moment, making appearances in the magazines, home decor and fashion scenes. 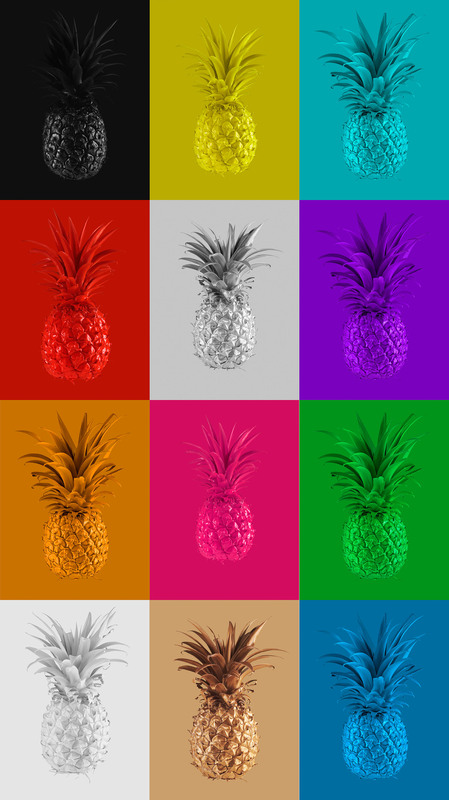 I have decided to pay homage to this by creating my Pineapple Pop Art piece. The Pineapples were painted to change the visual appearance to a single colour creating an almost fake plastic look and feel, these were then shot against the same tone background to emphasise individuality. A limited print run will be available on request.